Limited competition. 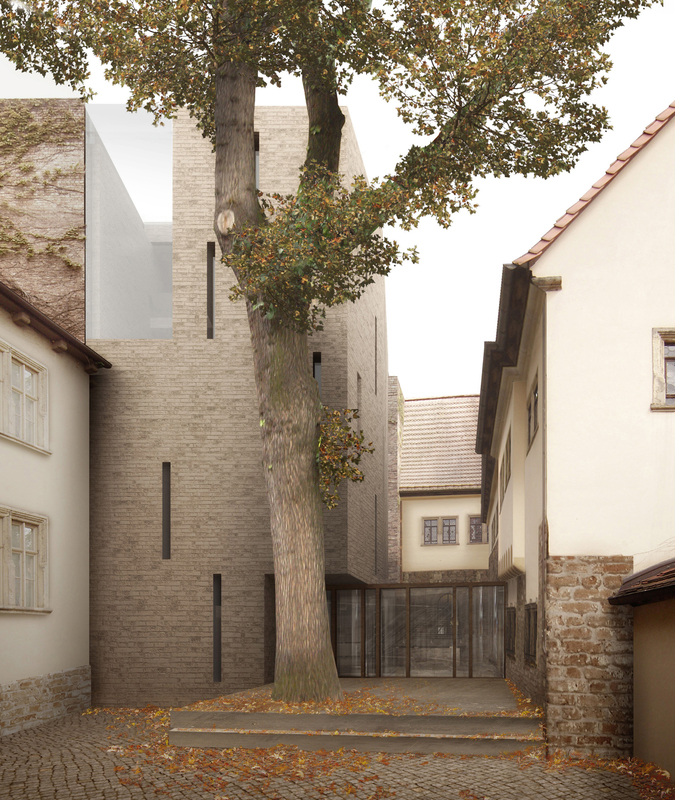 The Luthersterbehaus (Martin Luther’s Death House), a Unesco World Heritage site, is to be expanded to include additional exhibition space, lecture and seminar rooms. 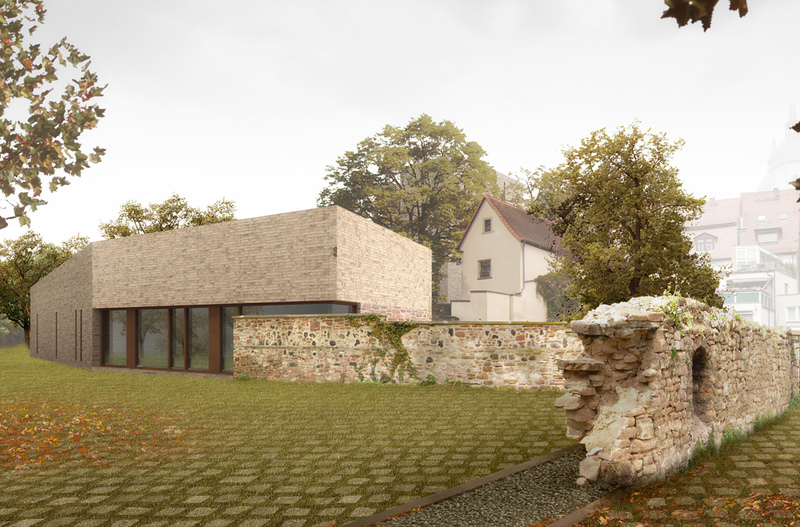 Two new buildings are integrated into the existing small structure, forming an intimate courtyard. 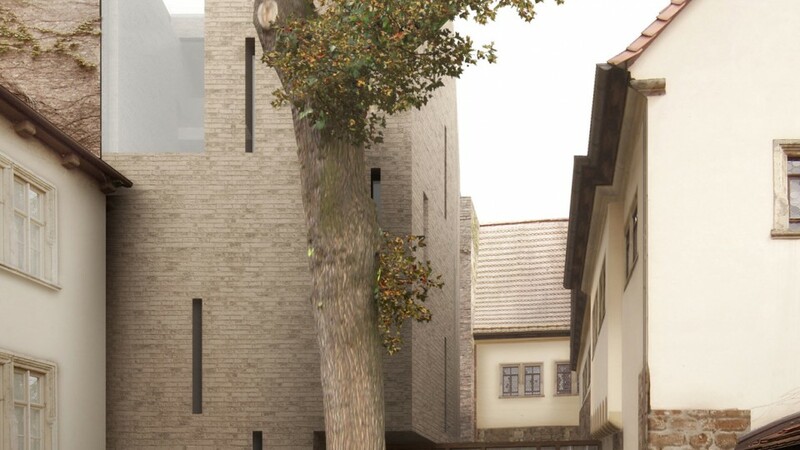 The courtyard between the existing buildings is redefined with a tower-like attachment for exhibitions and a flat, rectangular block for events at the front of the site. 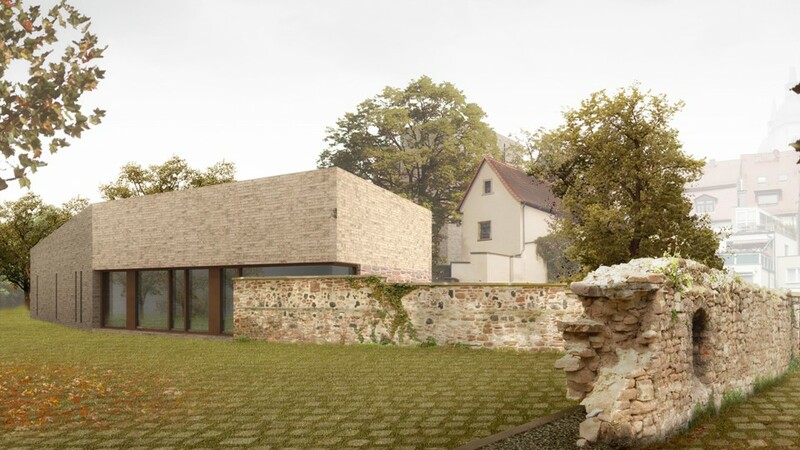 In this respect, the two archaic-type buildings are arranged subtly into the existing structure of the town. To the south, the existing park receives a spatially defined border along its side.